We at Sweet Orange Studio are everyday cyclists. 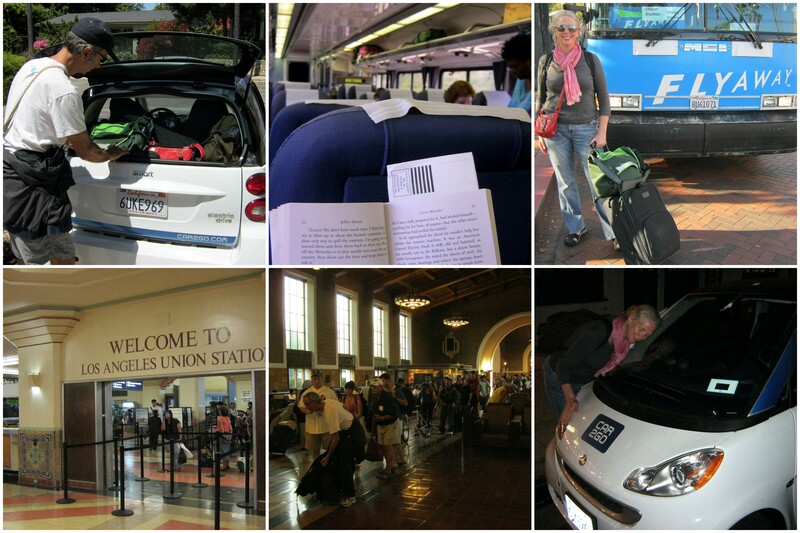 However, some days we gather all our resources and make an entirely different transportation plan, like this trip to Ashland that looped in an electric Smart car, Amtrak, the Flyaway bus from Union Station to LAX, flight to Oregon – and all the same steps in reverse. I was so happy to find a car2go in Old Town when we got home! Downtown’s sheer density provides an opportunity to re-think our ideas about development. More housing normally requires more parking spaces, and more driving means fewer people are on the street. It turns out that San Diego is right on the cutting edge with European-style electric car sharing, thoughtful planning for bikes, and abundant public transit options. I discovered that the future of getting around in San Diego is full of exciting possibilities. For more information on electric car sharing visit car2go.com. Cyclists can learn more about bike commuting at BikeSD.org. Here’s a new video I recorded for Ballot Point. They’re specialists in creating automated voting interfaces for unions and others. However you vote, I know you’ve made sure that you’re properly registered, and it’s also important to double check your polling place if you like to go into the booth on voting day like we do. Ours has moved from Green Manor Apartments to the Spreckles Masonic Temple in Hillcrest. We’ll be there on November 6 saying Yes to Prop 37 and voting for O!